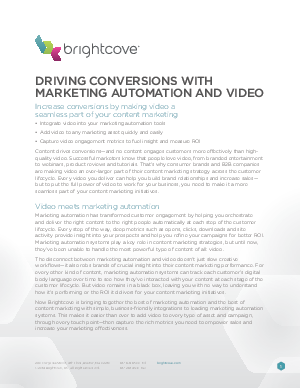 Content drives conversions—and no content engages customers more effectively than highquality video. Successful marketers know that people love video, from branded entertainment to webinars, product reviews and tutorials. That’s why consumer brands and B2B companies are making video an ever-larger part of their content marketing strategy across the customer lifecycle. Every video you deliver can help you build brand relationships and increase sales—but to put the full power of video to work for your business, you need to make it a more seamless part of your content marketing initiatives.